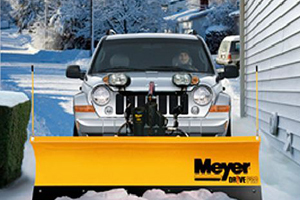 Meyer is a leading manufacturer of snow removal equipment, with their popular line of snow plows and salt spreaders. We currently supply the Meyer HomePlow and off-road vehicle snow plow models, as well as residential to light-duty salt spreaders. Need to battle the ice during a cold winter? Why not get help from a Meyer salt spreader? Our selection includes Meyer walk behind, tailgate, and insert hopper salt spreaders for residential and professional users. Tired of waiting for a plow service? Well, then Plow-It-Yourself with a Meyer HomePlow! 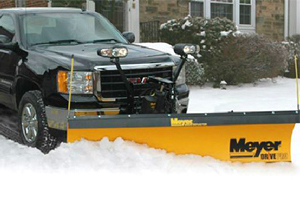 These plows are best-suited for SUV's and pickup trucks on light-duty jobs like clearing driveways. We also carry off-road vehicle plows for your ATV, zero turn, compact tractor, and even airport tractors.